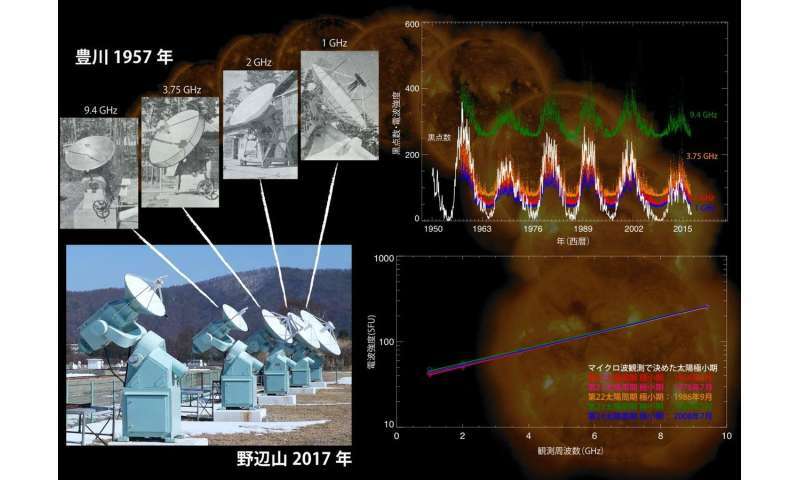 Masumi Shimojo says, "Other than sunspot observations, uniform long-term observations are rare in solar astronomy. It is very meaningful to discover a trend extending beyond a single solar cycle. This is an important step in understanding the creation and amplification of solar magnetic fields, which generate sunspots and other solar activity." The sun goes through a cycle of active and quiet periods approximately once every 11 years. This "solar cycle" is often associated with the number of sunspots, but there are other types of solar activity, as well. So simply counting the number of sunspots is insufficient to understand the solar activity conditions.